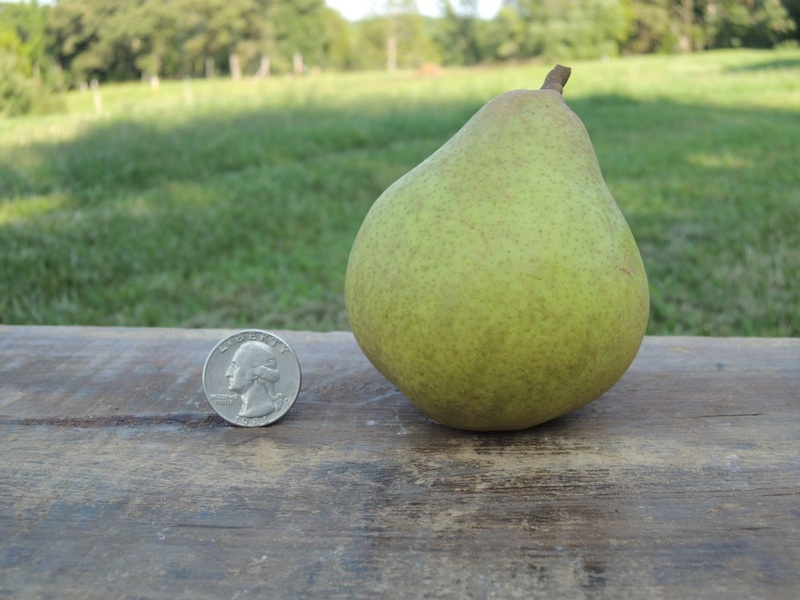 Below is a list of pear trees that we offer. 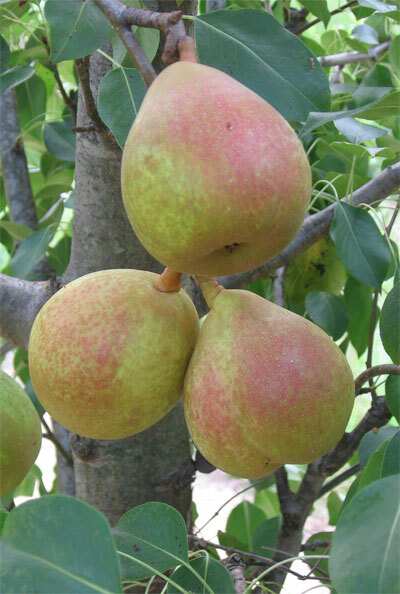 European-type pears are designated with an (E) and Asian-type pears with an (A). 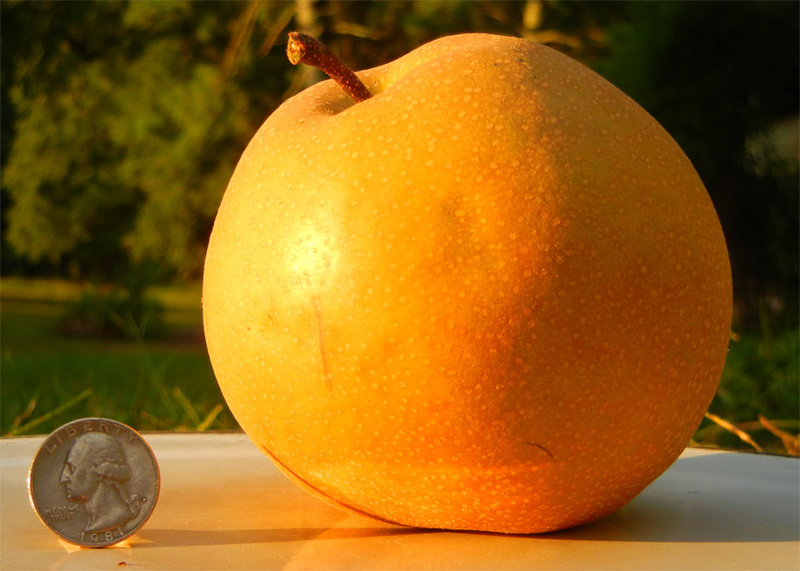 Asian pears are typically round in shape (similar to apples) and have russet coats. 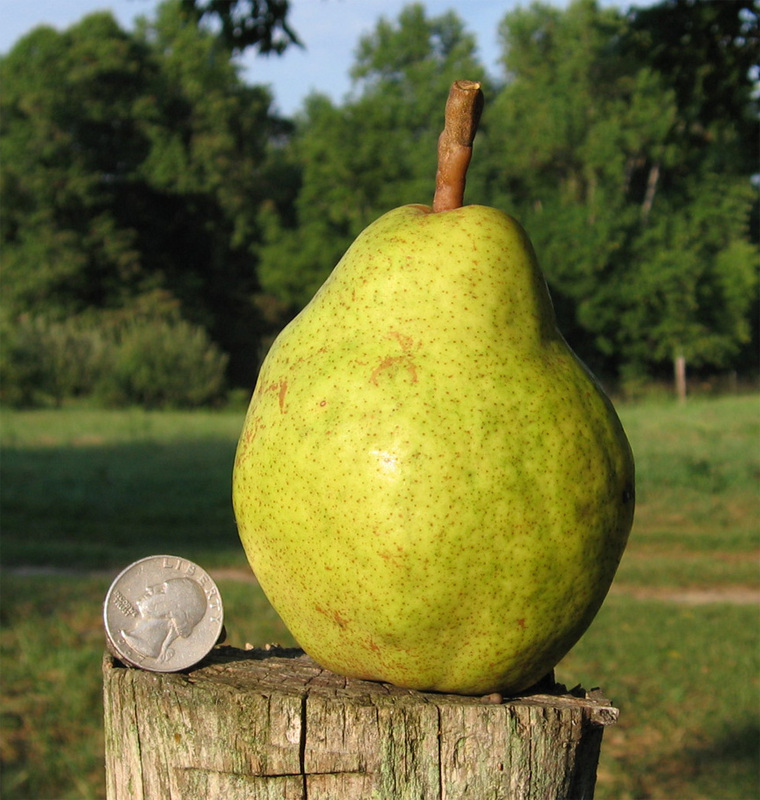 Most Asian pears require another pear (Asian or European) for good pollination. 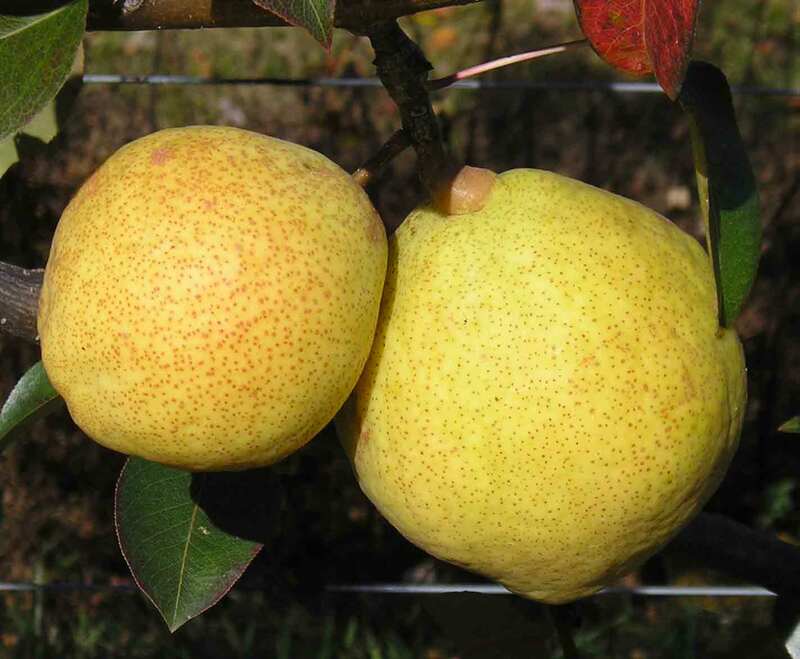 European pears can be self-fertile, but unless noted below, it is recommended that customers have at least two different pear trees to pollinate one another. 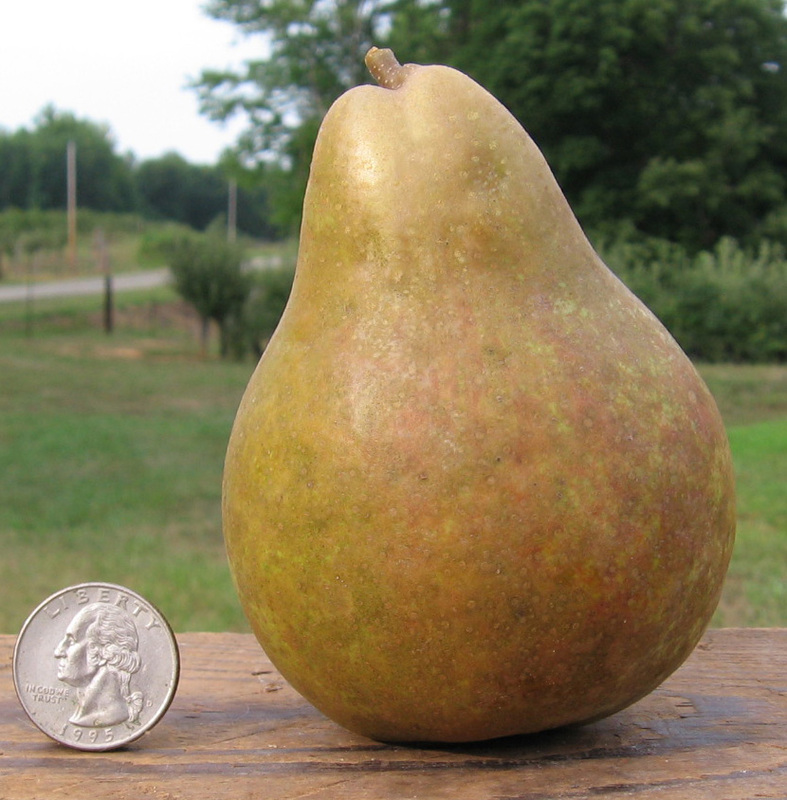 All pears are grafted onto semi-dwarf rootstock, OHxF97. 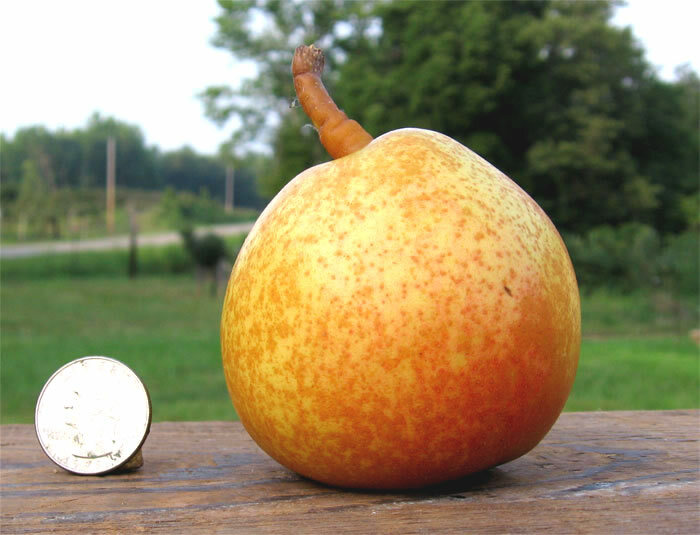 Korean Giant (A) is a large, russet covered pear of excellent flavor. It is firm and sweet. 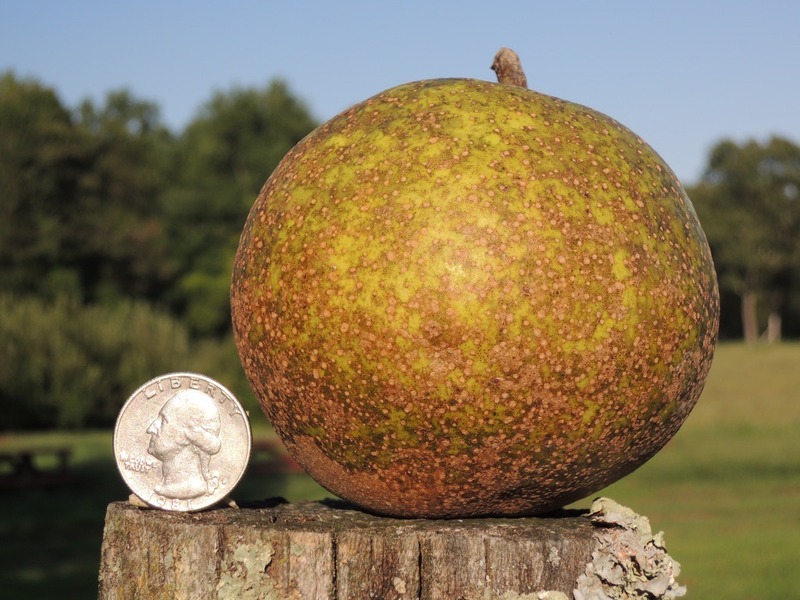 It ripens in early October and stores well. Magness (E) is large, green, and sometimes has a red blush. It is known for its fine fresh eating quality with a texture that is rich and juicy. Ripens in early September. (needs a pollinator). 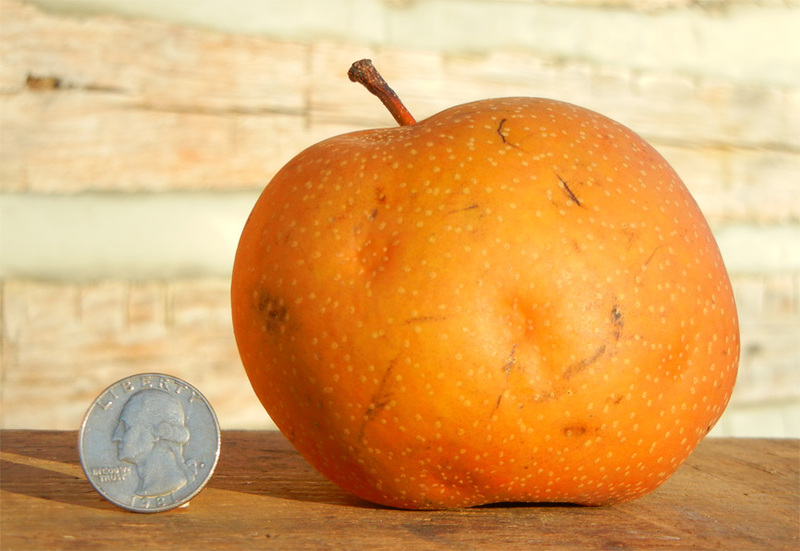 Niitaka (A) is a beautifully colored brown pear of excellent quality. 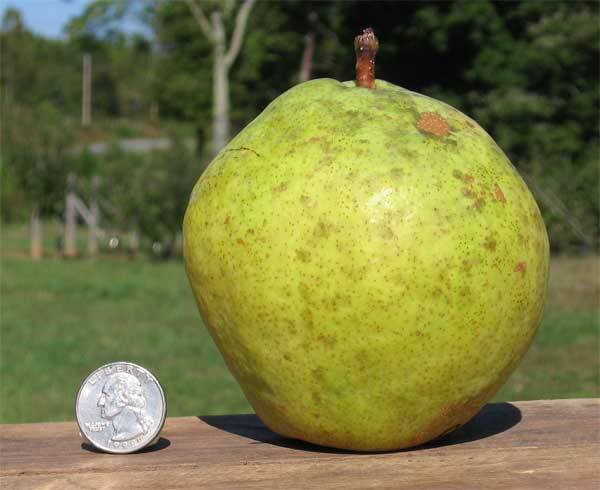 Round in shape, it is large, sweet, juicy, and firm. It ripens in October and stores exceptionally well.